FMDRIVE 2612, Virtual FM synth from ALY JAMES LAB. 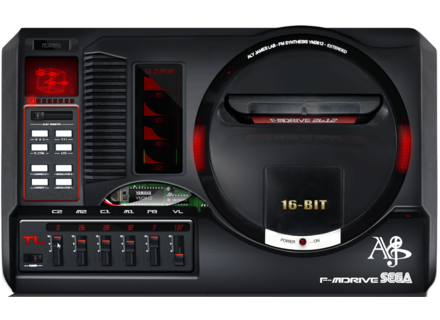 Aly James Lab announced the release of F-MDRIVE YM2612, a Windows software that emulates the Sega Megadrive built-in synth. The F-MDRIVE YM2612 is based on the YM2612 (OPN2) chip developed by Yamaha and used on the Megadrive video game console. The FM synth used to offer 4 oscillators, SSG envelope generators, special operating modes such as CSM Speech synthesis, which can be seen as the beginning of vocal synthesis, 8-bit PCM sound player, D/A converter, distortion and more. Aly James emulated this chip for its F-MDRIVE YM2612 VSTi (the editor specifies that you'll find the qualities but also the bugs of the original chip), to which he added new features, including multistage graphic envelopes (up to 8), circuit-bending options and the ability to control more than a hundred parameters via MIDI. The software also includes a preset library with more than 33 000 sounds extracted from the original ROMs and you can create news sounds. WAV sample import is possible, they will automatically be converted into 8/4-bit and 8/11/22kHz resolution. You will also have the ability to run de audio engine in HQ (high resolution), MD1 (distortion and cycle simulation) and MD2 (malfunctioning version) modes. 2 GUI sizes are available and Aly James Lab included a VGM to TFI sound format importer. 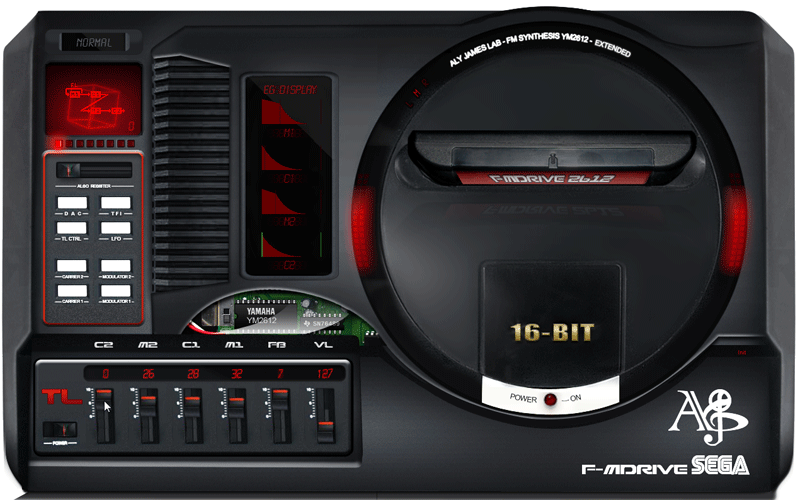 Last, the F-MDRIVE YM2612 can be used as a visual MIDI controller with the Little Scale GENMDM interface (not included) and control your Megadrive via MIDI USB. The F-MDRIVE YM2612 is available in standalone and VST formats for Windows 32-bit, as a donationware. Minimum price is set to 10€ and Paypal is used for payment. You can download the 45-page manual from www.alyjameslab.com. IK Multimedia iOS pianos at half price Through April 25th, the IK Multimedia iGrand and iLectric virtual pianos for iPhone/iPod and iTouch are available with a 50% discount. 8DIO Adagio Basses available for pre-order 8DIO invites you to pre-order now the fourth volume of its Adagio Series, dedicated to double basses, with a special introductory price. DBlue Glitch updated to version 2 The DBlue Glitch multi-effect plug-in is back in a new version, available for Mac OS X, Linux and Windows, but not free anymore.